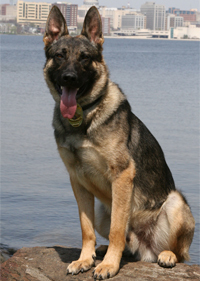 Madison Police dogs help find a missing man by searching a frozen lake. An attempted burglary occurred on the far east side of Madison. A resident pointed out tracks and Slim followed a scent to a home nearby. Police officers found wet boots which matched the track marks. The suspect was arrested. A stabbing homicide occurred on the north side of Madison. 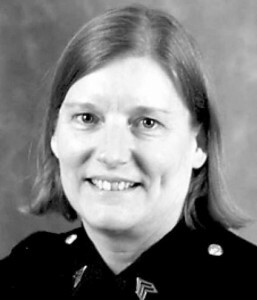 Slim accompanied by Police Officer Corcoran was able to follow the suspect’s scent for 3 hours (1 a.m. to 4 a.m.) across 4 miles; even through an area of Warner Park where thousands of people had recently walked to watch the annual fireworks display. Slim led the team of police officers to a residence which the suspect has visited earlier that night. The suspect was not there when the police arrived, but turned himself in later that day. 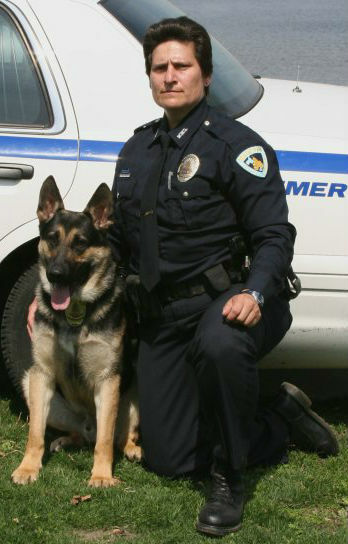 After Slim’s impressive track in July of 2012, he and his handler Police Officer Carren Corcoran received the Handler of the Year Award from the Wisconsin Law Enforcement Canine Handler Association. A man, on Madison’s Most Wanted list, was being pursued after fleeing from a stolen car. It was believed he fled along railroad tracks into a marsh. 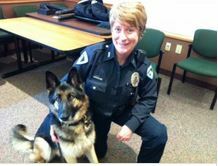 On duty were Police Officer Carren Corcoran and K9 Slim. 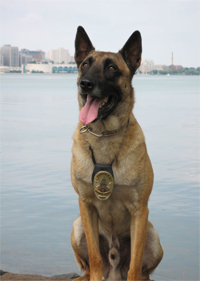 After shouting, “Madison Police K9. 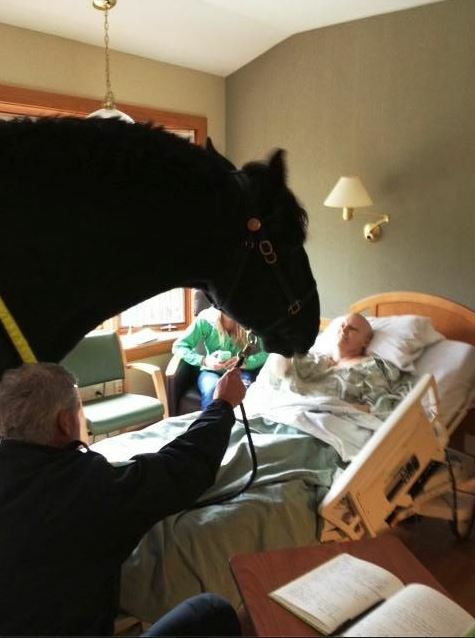 Give yourself up or the dog will be sent in to find you,” there was no response. Police Officer Corcoran let Slim off the leash to find the man, who immediately surrendered. Through the efforts of Bitty, a dog owned by Police Officer Carren Corcoran, the body of a drowning victim was located in Lake Mendota. See the article in the Wisconsin State Journal. 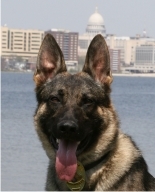 A Madison Police Department K9 team tracked an alleged killer for 3 hours across almost 4 miles in the sweltering heat. Read the rest of the story and learn more about Slim’s accomplishments. According to police reports, two men were walking along Bel-Aire Drive on Aug. 18, 2010 when they spotted a burglar trying to get into a neighbor’s home. The citizens confronted the crook, and recognized him as a suspect from past neighborhood burglaries. They tried to grab onto the man, but he took off running as police were called. Officers set up a perimeter, and with the help of MPD police dog Johnny, the suspect was located and taken into custody following a foot chase. He indicated he has just gotten out of jail that morning, that he was a member of a gang, but denied trying to break in.